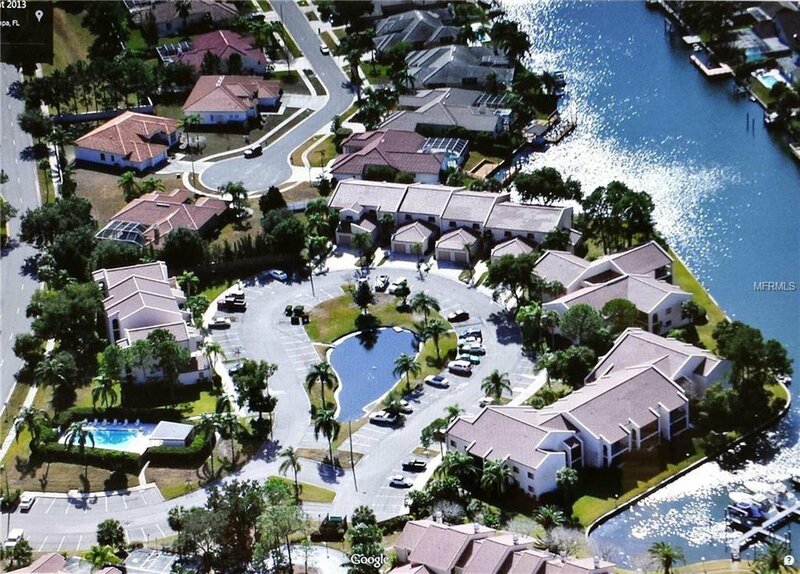 This attractive waterfront condominium boast canal views from most rooms throughout the home. You can enjoy the water views on two outdoor balconies. The condo has over 1900 sq ft and 2 floors of living area. The main level includes an open living room, dining room and wet bar area for entertaining guest. You have your choice to eat in the kitchen or in the formal dining area. The laundry is on the main level and first floor also includes a half bath. Second floor hold 3 large Bedrooms and 2 full bathrooms. The master bedroom has a stunning water views from the covered balcony to enjoy the beautiful sunsets over canal, and the same balcony and square footage on the main level connected to the living areas. This home has an attached garage for your car and many areas for storage throughout. The community fee includes lawn care, water, sewer, trash, maintenance on the outside of the building including roof, pest control, community pool, front gate, Flood insurance, sea wall, tennis courts, play ground, and dog run. This community is minutes away from to airports, malls, and shopping. This is a great location for any family to enjoy a water front home. Come out and see this hidden gem that is located on Tampa Bay. Owner is motivated bring all offers! Listing courtesy of ATLANTIC COAST REALTY ADVISOR. Selling Office: LOCK & KEY REALTY.